One of my goals this year is to get my artwork “out there.” I’m not necessarily searching for places to submit my work, but staying alert for opportunities, in places that I’m a fan of. I’ve submitted art to Flow Magazine – another favorite of mine – for their 2019 calendar. I haven’t heard back yet. I created a repeating pattern for a recent Spoonflower contest. I didn’t make the top ten. 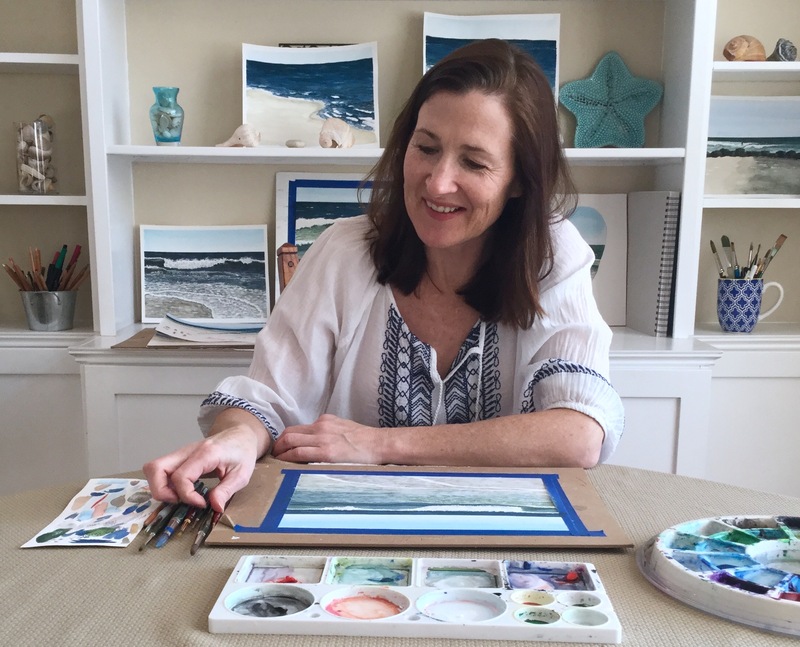 I submitted my work to Create Magazine – because Danielle Krupa, author of Your Inner Critic Is a Big Jerk: And Other Truths About Being Creative, was the judge. I wasn’t accepted. I also submitted to another Uppercase Magazine call. I wasn’t accepted – I didn’t 100% fit the criteria. This contains affiliate links to products/brands I use and recommend. I earn a small commission whenever you buy using these links, at no additional cost to you. Thank you for supporting my blog! Categories: Illustration, Watercolor | Tags: art submissions, candy, Dots, food, illustration, packaging, submitting your art | Permalink. I’ve been animating my illustrations lately and thought I’d share how I do it. My technique is similar to stop motion – I save an image for each point of movement in the animation. Then I put the images together in iMovie. When the time between frames (or images) is the right speed, it appears as if the illustration moves. Here are the three animations I created recently – click each image to see the animated movie on Instagram. Create your illustration. It is easier if the animated part is created separately from the non-moving part. For my reindeer animation – the reindeer is a separate illustration from the lights. The same is true for the elf. The background with the present is one illustration and the elf at the various stages of flipping are separate illustrations. Create the frames for your animation. Save a separate jpg file for each frame. I use Adobe Photoshop to put the illustrations together and to create the animated element. For the reindeer it was the lights lighting up in different ways. For the candle it was the flame moving and changing shape slightly. For the elf it was the elf in different positions, in different places. See my frames below. Upload the jpgs into iMovie. Place the jpgs in the order you want them to be viewed. Adjust the time between the frames so the animation looks fluid. Make sure “fit to frame” is selected so each frame doesn’t zoom in and out. Select “Share to file” to save your movie as an mp4 file to post. In the image to the left only the blue lights are “on.” The one in the middle all the lights are on. On the right only the red lights are on. In each image the flame is slightly modified. I wanted it to appear that the candle was flickering. Categories: Animation, Stop Motion | Tags: animation, illustration | Permalink. Categories: Countdown to Christmas | Tags: Advent calendar, Christmas, creative, illustration | Permalink. Last year I had a lot of fun drawing and painting every day to countdown until Christmas. I even uploaded some of my illustrations as ornament designs. See them all at www.zazzle.com/eileen_mckenna. I’ve decided to challenge myself again this year. The prompts are the same – it will be interesting to see how the same prompts can be interpreted differently this year. I hope you’ll follow along, and maybe draw along too! Let me know! Categories: Countdown to Christmas | Tags: Christmas, Christmas art, christmas countdown, illustration, watercolor | Permalink. As this year wraps up, what I’m most proud of is not a particular painting or illustration but that after some ups and downs, I’m finishing the year strong. I completed daily challenges in October (InkTober), November (World Watercolor Group’s food prompts), and December (my own Christmas countdown). Oh and I’m also proud of my Nutcracker pin! A pattern a month. I designed a pattern a month in 2015 and it was a great motivator. I learned so much and want to continue to grow in the area of surface design. First up is to turn some of my Christmas countdown illustrations into new patterns. What are your creative plans for 2017? 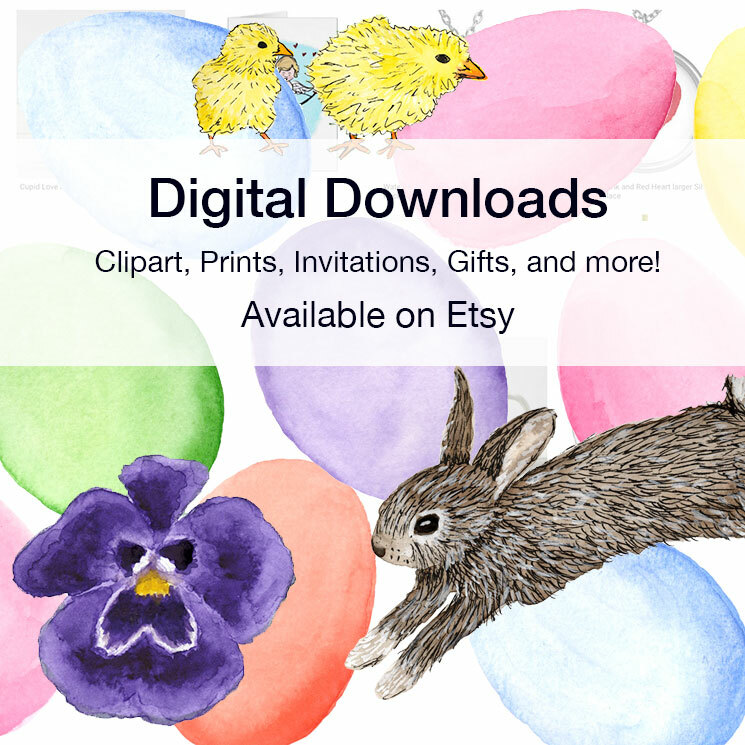 Categories: Inspiration, Patterns/Surface Design, Watercolor | Tags: illustration, inspiration, painting, resolution, watercolor | Permalink. Day 25 . The countdown is complete. Day 24 was just a quick ink sketch of an angel. Christmas Eve is a busy day. Some of my favorites from the countdown. Which was your favorite? Categories: Inspiration, Watercolor | Tags: Advent calendar, Adventmcr, Christmas illustration, illustration, Nativity, painting, watercolor | Permalink. Categories: Illustration | Tags: Adventmcr, Christmas, Christmas illustration, illustration, Mrs. Claus, sketchbook, watercolor | Permalink. Day 19 Christmas countdown. It’s so close! I want to scream, “SANTA!” like Buddy the Elf. If you haven’t seen “Elf” stop reading this post and immediately download it and watch it. It is hysterical. When I was little Christmas took forever to get here. As an adult it seems to come pretty quickly. My kids are asking me if I’m excited for Christmas. Um excited isn’t the word. I still have to finish shopping, food shop, make food, bake, wrap too many presents, make sure everyone has something to wear, (thank you to my husband who will iron the clothes), pack the car, make sure we leave for mass on Christmas Eve in time to get a seat, spend the entire mass trying not to cry that my dad passed away and isn’t taking up the collection, unpack the car at my sister’s, heat up the food, and then, then I’ll be excited. Categories: Uncategorized | Tags: Adventmcr, Christmas, Christmas illustration, elf, illustration, Santa's bag, watercolor | Permalink.